Exciting News! Adams Road Elementary is looking at expanding its playground equipment next year. 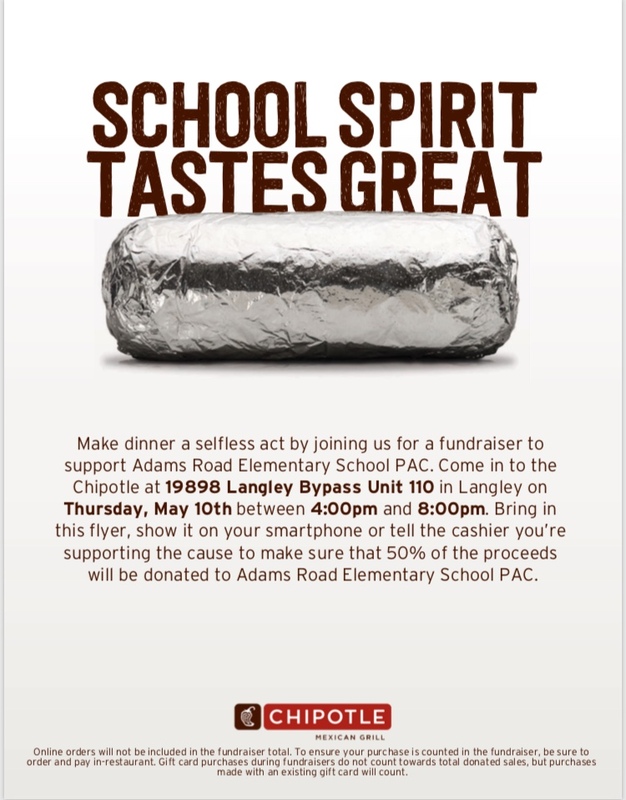 We are having a fundraising event at Chipotle on Thursday, May 10th from 4-8pm at the Langley location. To help fundraise please visit this location at the date and time mentioned above and when you order present them with the flyer below and mention Adams Road Elementary. Once they reach $300 in sales they will donate 50% of the proceeds to the Adams Road Elementary Pac. Remember to ask for a receipt and bring it to the school office the next day to also be entered into a draw to win a prize. You must have the receipt to be entered into the draw.